As defined by HubSpot, marketing automation refers to the software that helps achieve the goal of automating marketing actions. Today, almost all marketing departments – irrespective of the industry they belong to – have to automate repetitive tasks such as social media, emails and other website actions. The technology of marketing automation makes all of this a possibility. Therefore, B2B marketing automation simply means the same thing but here marketers automate repetitive tasks for clients who also happen to be businesses themselves. 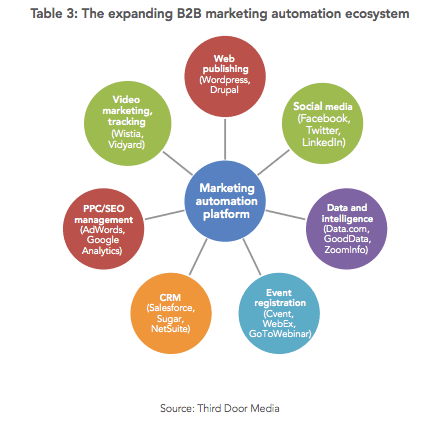 What are the platforms through which the activities are automated by B2B marketers? How does the B2B automation process take place? The B2B marketing automation ecosystem is expanding like never before. From lead generation and scoring practices and gathering customer intelligence and managing campaigns to tracking and deploying marketing campaigns – marketing automation has made a number of activities easy for B2B marketers. B2B purchases tend to have longer sales cycles and more decision makers involved. Marketers need to understand the pre-sales and buying process well and this is why data-driven approach is paramount. B2B marketing automation continues to grow at a rapid pace as marketers try to take advantage of the large amount of customer data – which in turn – allow the company to study its current customer patterns and behaviours, and make use of predictive analytics to identify prospects. Once insights are drawn from the current behaviour, marketers find it relatively easy to move the potential customers through the funnel and analyse sales pipelines. According to Raab Associates, marketing automation systems revenue totaled $1.8 million in 2015. Recommend Post: What Is B2C Marketing Automation At Scale? Even though the number is impressive, nearly 2/3rd of B2B marketers plan to increase their marketing technology in the coming years, states a report by B2B Marketing Technology Strategy. This is because the B2B marketing automation penetration remains low relative to the size of the potential market. Do you know 80% of your leads will make a purchase from you within a timeline of 6 months? But that doesn’t mean they are ready to make a payment right now. This means that it is the marketer’s responsibility to ensure the prospects complete the sales funnel. An channelize experience is necessary to shorten the sales cycles and to generate more revenue at a faster pace. From emails and SMS’ to social media – there are various ways to reach out to the prospects without spamming their inboxes or feeds. Adding to the first point, random messaging on all channels doesn’t work. B2B marketers have to deliver the right content at the right time on the basis of the prospect profiles, their browsing histories and lead scores. There’s no way you can hit the right target with the correct messaging if you don’t know your potential clients. Personalization is the key to a successful marketing and sales strategy. As a business, you just can’t afford to be generic anymore in your approach. Lead scoring maximizes sales productivity. 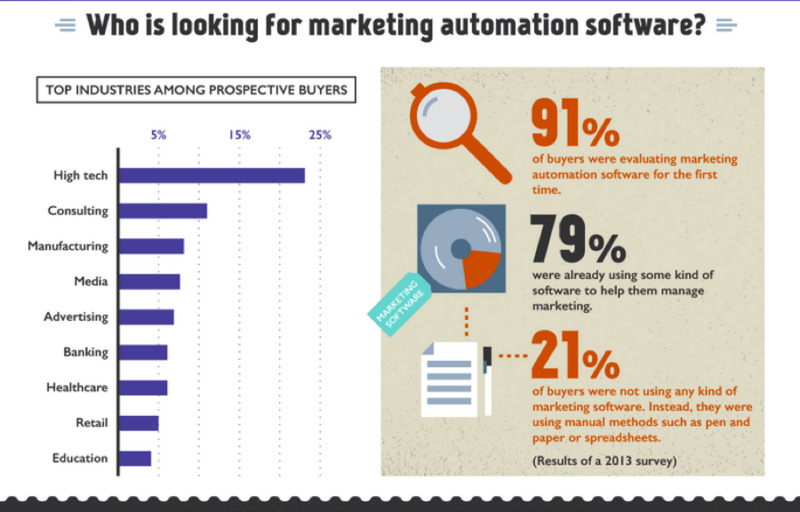 B2B marketing automation will help you ensure this. But this is not possible until you are ready to follow the first two steps. Marketers need to understand that each prospect will have individual “differences” – which is what increases the need to personalize the messages to fit their expectations manifold. Wigzo, a marketing automation suite, offers solutions that create personalized experiences across all customer touch-points from a single, integrated digital marketing platform. It helps brands to forge an interactive relationship with the customers based on real – time, bespoke communication, spurring them to convert their purchasing intent into action. With B2B marketing automation, marketers can generate better results by shortening the sales cycles with all prospects and increase revenue faster.